Pioneer Itesyo Lane is located along Kipande Road just off Murang’a Road that feeds the Thika Superhighway. It is a distinguished location; located less than 500 meters from Murang’a Road highway and only 2 to 3 minutes from both the Nairobi Central Business District; Westlands CBD and the rapidly developing Chiromo Road, ensuring living within walking distances with close proximity to luxury hotels, shopping malls, recreational facilities and fresh produce markets. 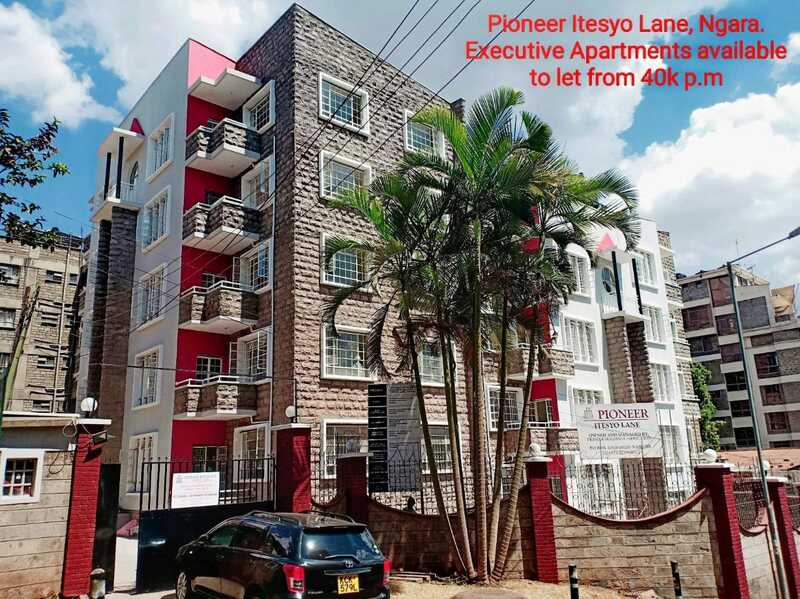 Pioneer Itesyo Lane consists of three blocks of four floors each consisting of 1 and 2 Bedroom flats. The apartment’s features spacious lounge and access to balcony’s, dining area, modern fitted kitchen, laundry area and spacious bedrooms finished tastefully. There is sufficient parking in the compound. Gardens are carefully maintained with common areas. Cleanliness is always spot on. Security has been beefed up to ensure the residents are always secure. This development is secured by a 2.4-meter high perimeter wall with security guards who man the entrance and constantly patrol the surroundings. Security equipment including fire alarm and security back-up alarms have been installed by a reputable organization. The property features rainwater harvesting. Additional parking facilities are currently under consideration.